UFO SIGHTINGS DAILY: Rainbow UFO Over Philippines Is Seen By Neighbourhood, April 2017, Video, UFO Sighting News. 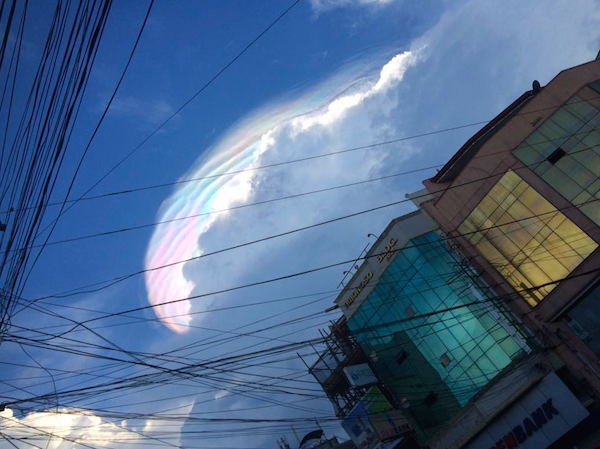 Rainbow UFO Over Philippines Is Seen By Neighbourhood, April 2017, Video, UFO Sighting News. 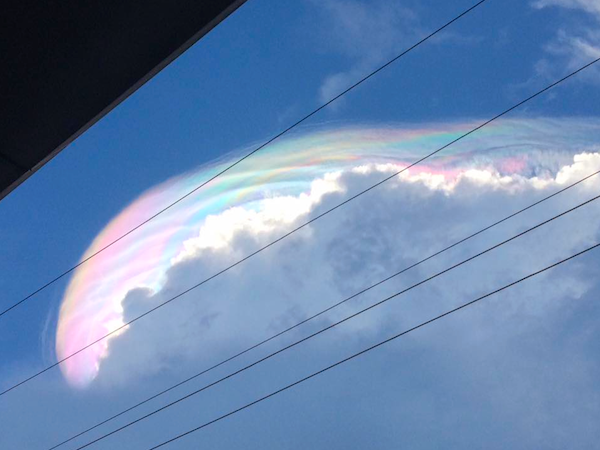 This UFO was recorded by Anne Elle Salikala of Facebook, who personally witnesses the is glowing iridescent UFO hovering over a cloud near her home. The colors are scientifically impossible for them to occur in clouds, however for a cloaked UFO its very possible. As a matter of fact, I once saw a tiny baseball size UFO just 2 meters from me with the exact same colors, so I know first hand. The easiest and most relaxing way a UFO can come close to a human community is by making itself appear as a cloud. At this time there is a small chance that the odd position of the sun and the eyewitness will allow them this rare look at a UFO observing them back. This is a magnificent alien craft we are looking at here.